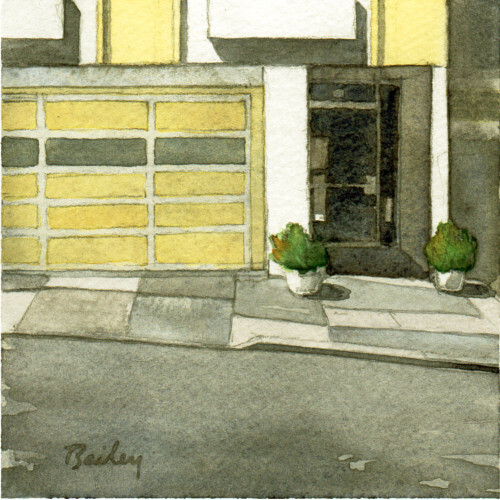 For Monday, I’ve painted the shaded entrace to a building on 6th Avenue. On walks around the city, the shadows cut across the white and grey sidewalks, reflecting the time of day and covering steps and doorways. Who lives in all these houses and cares for all of these bushes and succulents stationed at corners and thresholds? I only include people in my paintings from time to time, but I always feel like they’re close by, just out of frame or hidden behind doors.